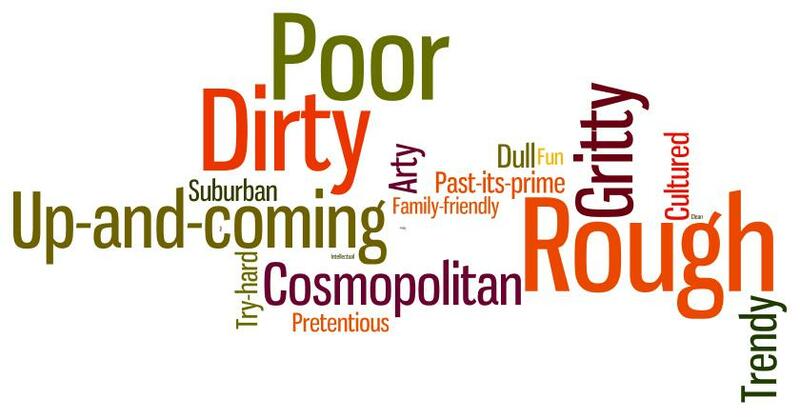 Research conducted by YouGov in January 2014 revealed that Londoners are most likely to view north London as “cosmopolitan”, west London as “posh”, and southern and eastern areas of the city as “rough.” Respondents were asked to select up to four adjectives that they felt best represented each area of London from a pre-defined list, and these results were then collated to reveal the overarching perceptions of each area, as well as the views of Londoners living in different areas of the city. This analysis indicates that views of southern, eastern and western London are relatively consistent across the capital, while perceptions of north London are more likely to vary. Respondents from south London are most likely to see the northern parts of the capital as “rough” (23%), while residents of east and west London are most likely to consider the area to be cosmopolitan (22% and 25% respectively). Those living in central London are most likely to view the northern areas of the city as “trendy” (19%), while respondents from north London itself are most likely to associate the area with being “family-friendly” (34%). 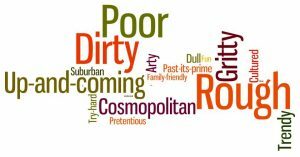 When asked to describe south London, the most common adjective used by residents living in the northern, western, eastern and central parts of the city was “rough” (cited by 44%, 34%, 31% and 26% of respondents respectively). However, in central London, the same proportion of respondents also felt that south London is “up-and-coming” (26%). Among residents in south London itself, the most commonly cited adjective was “suburban” (40%). The dominant perceptions of east London are consistent among Londoners from all parts of the city: all groups were most likely to view the area as “rough”. Among those living in east London itself, the most commonly cited adjective was “poor” (37%): however, this is just one percentage point higher than the proportion who associated east London with being rough (36%). Respondents living in east, central, north and south London are most likely to believe that west London is “posh” (43%, 37%, 36% and 28% respectively). However, residents in west London itself are most likely to view the area as “cosmopolitan” (34%).